For instance, digital transformation and analytics will gain in importance in this year and in the time to come. Customer experience becomes important and a typical call center solution must-have features that go beyond communications to include unified communication and collaboration tools. Cloud technologies play a significant role and call center development needs to factor this into the call center solution. Apart from customer satisfaction, which is an obligatory part of the call center process, another important trend is that greater use will be made of remotely based agents and contact center development must take this into account as well. Artificial intelligence is here to stay in a number of IT fields and it applies to call center solutions as well. Contact centers find that some degree of AI does help in intelligent call routing and customer service. 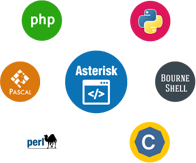 This is where Asterisk contact center software development truly shines by including the latest communication technologies and streamlining software to integrate seamlessly into various topologies and customer usage patterns. 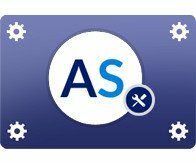 Some features worth a mention are advanced call distribution, automated call script, intelligent and multi-level IVR and call scheduler.  If developers keep coming up with better and more innovative solutions for contact centers then call centers too to need to keep abreast. Competition is fierce and using yesterday’s technology for today and tomorrow’s business operations slows down operations. IT and software form the backbone of call center operations but today’s cloud-based hosted call center software does away with the need for expensive capital investments and maintenance costs besides options on choosing only those modules that are of immediate need. A call center may opt for improved inbound call management software or versatile, algorithm-based outbound call center software with predictive capabilities that enhances call agents’ call experiences. In cases where a call center handles both inbound and outbound calls then the blended software is just perfect in terms of cost and performance. Features and their implementation in the package determine usability and outputs of agents in call centers and, ultimately, customer satisfaction. 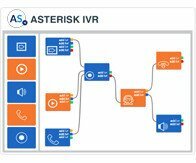 Asterisk listens to call center operators, understands what their needs are and leverages latest technologies to deliver precisely what is needed to make each agent a live wire.